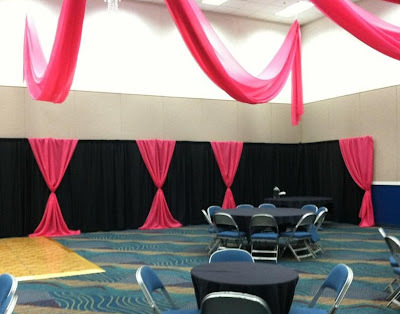 The Lakeland Center Lake Hunter room before fabric decor. 10 ft wide Sheer Fire Retardant material creates a dramatic effect for this special sweet 16. 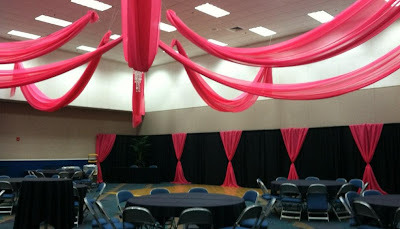 3 tier chandelier creates glitz to center of canopy. 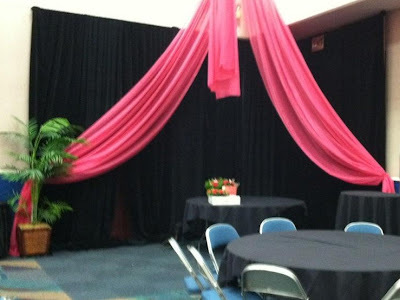 Hot Pink accents to the Black Pipe and drape bring wonderful pops of color.